April 4, 2019 -The US and EU should immediately take steps to ensure that Iran receives humanitarian aid to assist disaster relief efforts in the wake of devastating floods that have killed dozens and caused millions of dollars of damage to homes and infrastructure, the Center for Human Rights in Iran (CHRI) said in a statement today. Further, the Iranian government must ensure that the aid is effectively and evenly distributed, with full financial transparency. "While the Iranian people are dealing with the devastation caused by more than two weeks of flash flooding, the authorities in Iran cast blame, the US issues empty declarations of support, and the EU has so far been unable to deliver tangible humanitarian support," said CHRI's Executive Director Hadi Ghaemi. "Lives are being lost; it is urgent for all parties to ensure that political disputes do not impede Iranians' access to full and effective disaster relief," Ghaemi added. 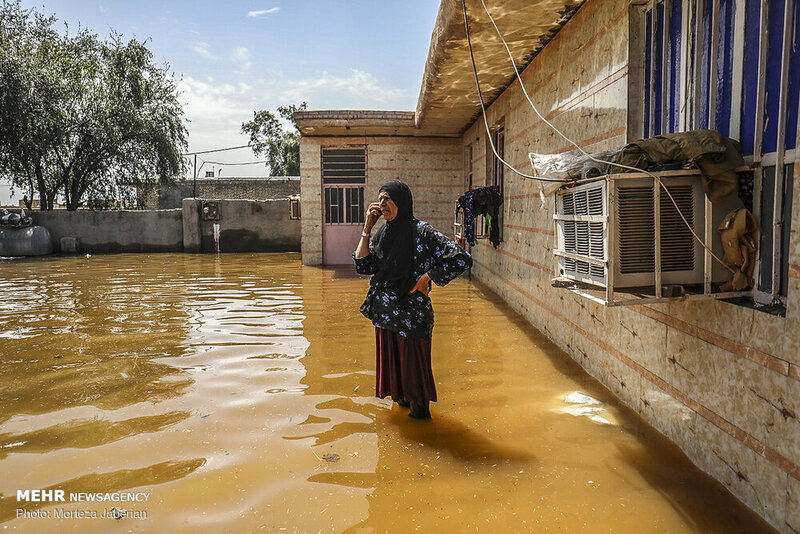 On April 3, 2019, Ahmad Shojaei, the head of Iran's state-funded Medical Forensic Organization, reported that 62 people had died so far as a result of flooding that began in Iran on March 19 and has since affected 23 of the country's 31 provinces. 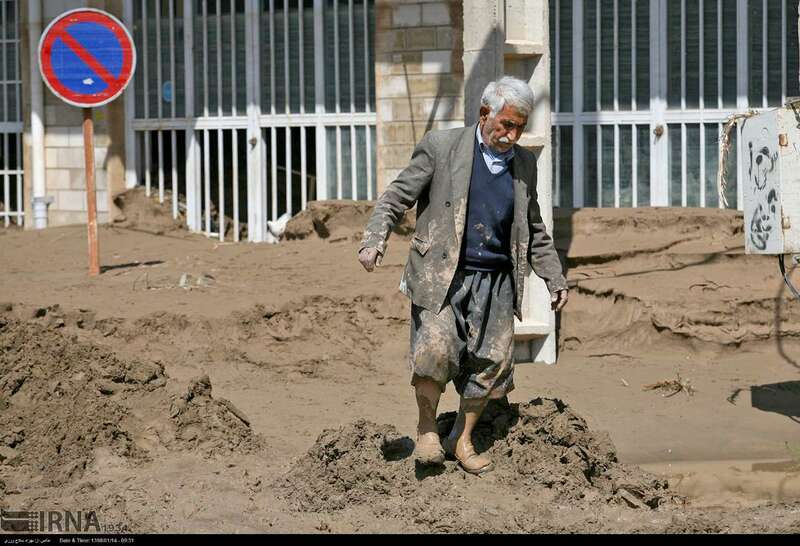 The hardest-hit provinces are in south and central Iran, including Fars, Isfahan and Lorestan, though provinces in the north including Golestan and Mazandaran were also affected. 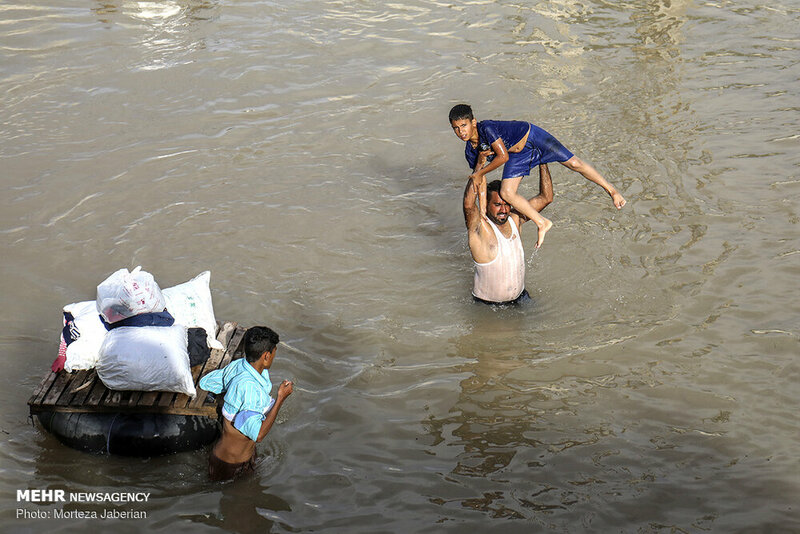 The governor of Khuzestan Province had declared a state of emergency after flooding swallowed buildings and bridges in his region on March 31. Disaster relief efforts in the wake of the floods have been hindered on many fronts. While humanitarian trade is permitted under US sanctions, US secondary sanctions affecting international banking transactions have made many banks reluctant to handle even permissible trade with Iran. On April 2, US Secretary of State Mike Pompeo said, "The United States stands ready to assist and contribute to the International Federation of Red Cross and Red Crescent Societies, which would then direct the money through the Iranian Red Crescent for relief." But Iranian officials have stated that Iran has been unable to receive aid due to US sanctions. Yet sanctions are not the only issue affecting Iran. The country's refusal to comply with international banking standards has resulted in many international banks refusing to handle allowable financial transactions related to Iran. "For banks, it's not just about being sanctioned for dealing with Iran," said Erich Ferrari, an expert on US economic sanctions and export controls. "By working with Iran, they open themselves up to a host of issues and scrutiny. For example, they could be penalized or scrutinized by their regulators for not having sufficient anti-money laundering controls in place." The EU set up the Special Purpose Vehicle after the US withdrawal from the Iranian nuclear deal and reinstatement of US sanctions specifically to enable financial transactions for permissible humanitarian trade with Iran. But so far the mechanism has been beset with logistical problems and has not yet become operational. Meanwhile, the Iranian government has been harshly criticized inside Iran for its mismanagement, in terms of preventative flood measures that should have been instituted, early warnings and notifications as the floods began to hit, and continued disaster relief efforts. Iran's refusal so far to adhere to international banking standards has only added to the country's difficulties and financial isolation. The US Treasury should publicly and explicitly issue a statement that addresses ambiguities regarding sanctions compliance and fears regarding US penalties. It should emphasize that trade with Iran in humanitarian and essential goods such as foods, medicines and supplies are exempt from sanctions and permissible, and state which unsanctioned banks are permitted to handle such trade. The authorities in Iran should designate a financial channel to handle transactions that complies with international banking standards, ensure humanitarian aid is distributed effectively and transparently beginning with the regions hardest-hit by the floods, and implement mechanisms to ensure human rights are not violated during relief efforts. The EU should urgently accelerate the process of implementing its Special Purpose Vehicle, allowing it to assume the role it was designed for, namely, to enable financial transactions for permissible humanitarian trade with Iran. The quandary facing the Iranian people, who have played no role in Iran's ongoing political disputes, is reflected in a statement by the head of the International Red Cross: "In many places across the world, the space for impartial humanitarian action is under threat. Human dignity is disregarded, the applicability of the law is questioned, and humanitarian aid is politicized and deliberately hijacked for political gain or the control of populations."